Talk together about why relational harmony is important in the church, among Christian friends, in a family. Pray together about specific broken relationships you have that need harmony. When I see evidence of control…I have rejected that God is great. When I see evidence of proving myself…I have rejected that God is gracious. When I see evidence of greed… I have rejected that God is good. Talk about a time when the hope you had in something influenced the way you lived, even though you didn’t yet have what you hoped for. What are the ways your hope in someday being with Jesus effects the way you live now? We all need mentors — people we “mark.” Who are people you want to spend more time with? What steps will you take to be with them? Philippians 3:17-4:1 teaches us how we can know the outcome of a person’s life and, in that way, choose the people we are to follow. Review the kind of people whose outcome will be ruin. Are there people you are allowing to influence you whose “end is destruction”? Paul also teaches us to pay attention to those who follow his example, whose end is glory. Who are the people in your life who live that way? Are there ways you can be with them more? Talk about any time in your life when you found Christ better than all else. What was that like? Tell that story. Talk about the things in your life that currently compete with Christ that seem much better than Christ. Pray for each other that you would see and delight in the worth of Christ. 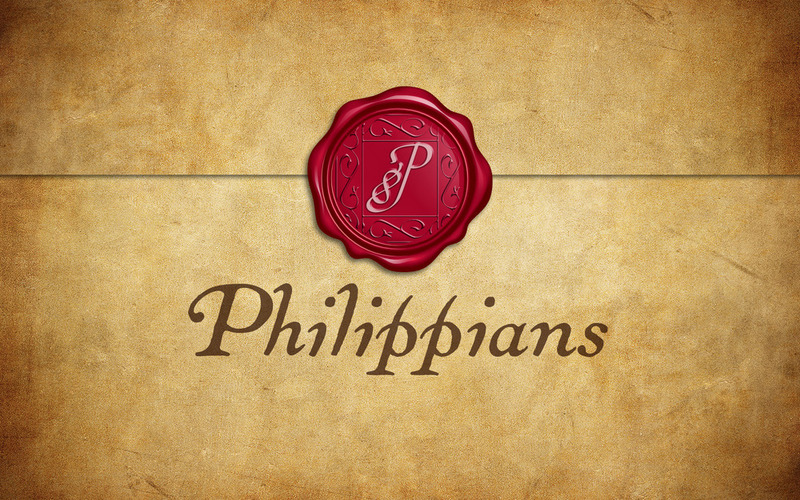 Philippians - Is Confident Cool? Talk together about how you would answer this question: Suppose you were to die tonight, you immediately stand before God, and He asks you, “why should I allow you to enter My Paradise?” What would you say? Look again at Philippians 3: 3 and 9. Based on your answer to the first Faith Talk questions, would you say your confidence before God is based on yourself and on fulfilling some “law?” or would you say your confidence before God is based on a righteousness that has been given to you through faith in Christ? Of the three kinds of relationships to look out for, which type of relationship has had the most affect on your life (dog, evildoer, mutilator)? Why did/does it have such an influence? What is one step you can take to break free from that kind of influence? What are some ways you can share the Gospel with someone who fits descriptions listen in Phil 3:2? What are some ways you can leverage your influence to point them to Jesus? For Kids/Teens: What makes someone a really good friend? Do you think friends like that are easy or hard to come by? Explain. What kind of friend would you say you are to others? Explain. Who are the people in your life who, when you are with them, you are a better person? Who are the people in your life who, when you are with them, you do sinful things you wouldn’t normally do? Are there people in your life who, when they are with you, they become better people? Are there people in your life who, when they are with you, they do sinful things they wouldn’t normally do? What is your level of buy-in to the life-changing vision of the Gospel? What is keeping you from being “all-in” with the movement of the Gospel in South Jersey? What is your level of commitment to relationship with God’s people? What is keeping you from being connected with others? Read Philippines 2:1. List again the four experiences that are true of all Christians. Talk about examples of ways you have seen those four realities in your life. Talk about what you think it means if those four evidences of living faith are not part of a person’s life. Share a way the Gospel could go deeper in your life in one of these areas. Since for the Apostle Paul, to live was Christ, he could say, “to die is gain.” His life was all about Jesus, so through death, he had all to gain and nothing to lose. Talk about what you live for that you would lose if you were to die. Only in the Gospel can we truly find love, safety, and significance. Of those three, which do you think “drives” you the most? Talk about that together. “Life is all about what you love, for what you love will command your life.” Talk about what you “love” that gets in the way of the kind of life Jesus has for you? The right kind of love abounds through knowing God. Talk about the steps you will take to get to know God more. Talk as well about ways you can be held accountable in those steps. We learn from Philippians that as difficulties rise, so does our need to be reminded of who we are. Talk about how the difficulties you are facing try to shake and cripple the truth of who you are in Christ. Dig deeper: What examples can you point to in Jesus’ life when He was willing to NOT be recognized, exalted, or known to be who He was? Talk about times you have insisted on your own exaltation, where you attempted to be known or significant. Talk as well about times you embraced being overlooked, unrecognized, or unknown. What are the situations in your life where following Jesus may call you to be content with being humble, unknown, or insignificant? Pray for each other. Jesus’ humility led him to embrace costly obedience. Celebrate points in your life when the cost of your obedience honored Jesus. None of us find ourselves in situations, like Jesus, where the call to obedience requires us to embrace a humiliating death. Still obedience is typically costly. Talk about ways you feel obedience to Jesus carries a high price. Jesus embraced being human … we often fight against it. Talk about aspects of being human that you just don’t like. Talk about the possibility that God may want you to embrace those human realities. What would change in your life if your mind (your “frain”) would embrace your humanness? Talk about examples of the power of attitude … how the attitude you choose is more influential than the circumstances you face. The fact that Jesus is God never changes. But the attitude that comes from denial of that fact will greatly effect your life. Talk about areas of life where you need to adjust your mindset to embrace that Jesus is God. Paul, like all of us, was a man in process. Talk about the ways Paul’s journey from selfishness to love impacts you or gives you hope for your journey. In Acts 16 we saw 3 different people experience the truth of the Gospel in 3 different ways (1) reasoned dialogue; 2) power encounter; 3) exposure to a remarkably different life). Talk about the people in your life who don’t know Jesus yet. What might they need before they “get” the Gospel? Paul, like all of us, was a man in process. Talk about ways Paul's journey from selfishness to love impacts you or gives you hope for your journey. In Acts 16 we saw three different people experience truth of the Gospel in three different ways: 1)reasoned dialogue; 2)power encounter; 3)exposure to remarkably different life. Talk about the people in your life who don't know Jesus yet. What might they need before they "get" the Gospel?